This course is designed for students who are interested in the area of nail extensions. It will provide students with the skills, knowledge and qualifications required to work as a nail technician. Further, it will also equip students to efficiently carry out tanning and nail art treatments. 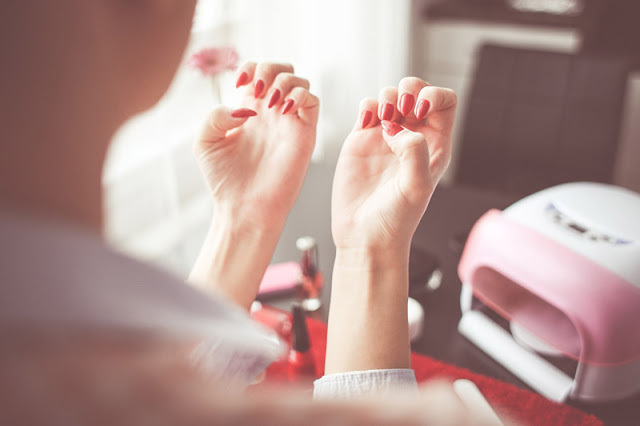 Students will study and practice manicure treatments, pedicure treatments, nail extension systems (gel, acrylic, fiberglass, overlays), nail art, anatomy and physiology and product knowledge/cosmetic science. Work experience is an integral part of the nail technician course. Graduates of the course may obtain employment in nail bars, tanning studios, health spas, beauty salons, sales representatives or be self-employed. As this course is internationally recognised, students are insurable and can travel with their qualifications. Students must purchase a Professional Kit and Uniform for the course. All Examination Fees are payable prior to commencement of the course.